No journey is too great for the 2016 Chevrolet Equinox, which is why we encourage you to drive your Equinox all across the gorgeous state of Florida and beyond. Thanks to its excellent fuel efficiency and top-notch safety features, you’ll love your time behind the wheel. Here are some of the best Florida locations to visit in your Equinox. Universal Studios Orlando – Needing no introduction, Universal Studios is one of the most popular tourist attractions in the world, offering the ultimate entertainment for families. And now with Skull Island: Reign of Kong at its Islands of Adventure theme park, this theme park is the ideal venue to visit when traveling through our exciting state. National Naval Aviation Museum – If you’d rather spend your time indoors, there’s something for everyone at the Aviation Museum, one of the most impressive museums you will ever visit. Clearwater Beach – For a relaxing weekend, check out the surf and sand at Clearwater Beach. Just remember to pack sunscreen! St. Augustine Wild Reserve – ’re an animal lover, then the St. Augustine Wild Reserve is a must-see. Fort Lauderdale – “Venice of America” for its expansive canal system, Fort Lauderdale is full of things to do for the whole family both in and out of the sun. 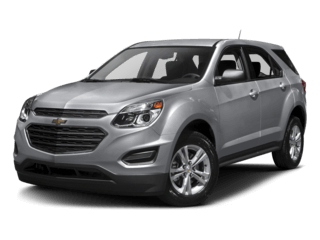 Want to learn more about the 2016 Chevrolet Equinox or take one out for a test drive? Contact us or visit us anytime at Chevrolet Center.